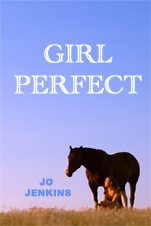 ← Girl Perfect – want to read more? I’ve been overwhelmed by the positive feedback Girl Perfect continues to receive from readers, not just on Amazon (.com reviews here, .co.uk reviews here) but in blog posts, forums and by email. Motivated and inspired by this, I’ve made good progress on my new book. It’s another work of fiction aimed at older children, but quite different to Elin’s story. I’ll post further details in due course.